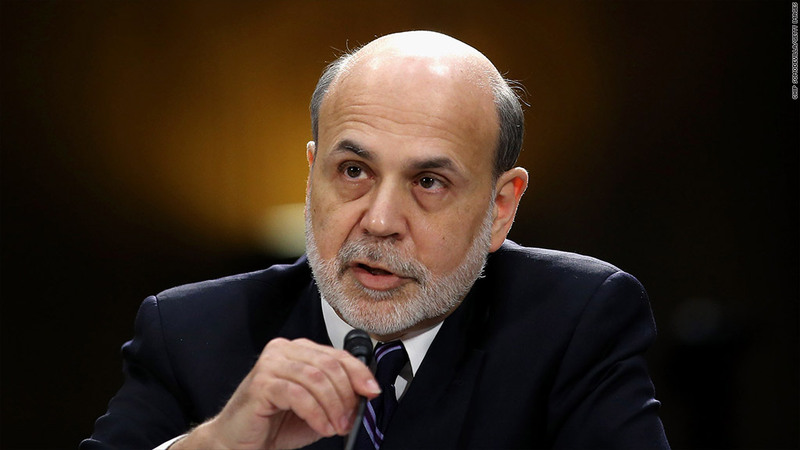 Federal Reserve Chairman Ben Bernanke said he has "great concern for the unemployed." The Federal Reserve trimmed its forecast for economic growth in 2013, but said Wednesday that it's a bit more optimistic that the unemployment rate will decline. The Fed expects the U.S. economy to grow between 2.3% and 2.8% this year, slightly weaker than its prior estimate. Meanwhile, the central bank expects the unemployment rate to fall to between 7.3% to 7.5% by the end of the year. The unemployment rate was 7.7% as of February. In a press conference later in the afternoon, Federal Reserve Chairman Ben Bernanke was quick to acknowledge recent data showing that job growth picked up in February. But he also cautioned that strong hiring may not be here to stay. In the last few years, job growth accelerated in the winter, and then slowed a few months later. Bernanke calls it the "spring slump." "We have seen periods before where we have had as many as 300,000 jobs for a couple months," he said. "Then things weakened again." The Fed is also wary about the impact of federal spending cuts and global financial turmoil on the economy. Bernanke cautioned that the Fed alone would probably not be able to "fully offset major economic head winds" arising from those two issues. Overall, minor tweaks to the Fed's forecasts don't signal any major changes for monetary policy. The central bank still plans to keep its stimulative policies in place, probably until 2015. Federal Reserve policymakers voted 11-to-1 to keep short-term interest rates near zero, as the Fed has done since December 2008 in an effort to stimulate the economy. The Fed reiterated that it intends to keep rates low until the unemployment rate falls to 6.5% or inflation exceeds 2.5% a year. Those are rough guidelines, not strict targets. Most Fed officials don't expect those levels to be met until 2015. The central bank also said it will continue to buy $40 billion in mortgage-backed securities and $45 billion in Treasuries each month for the foreseeable future. The hope is that those purchases will continue to push long-term interest rates even lower. Bernanke mentioned that the Fed may chose to adjust the volume and pace of those purchases in coming months, in response to economic data. Esther George, president of the Kansas City Fed, was the only voting member to oppose the decision, citing concerns that the Fed's policies would increase "the risks of future economic and financial imbalances." The Fed's next meeting is scheduled to take place April 30 to May 1.